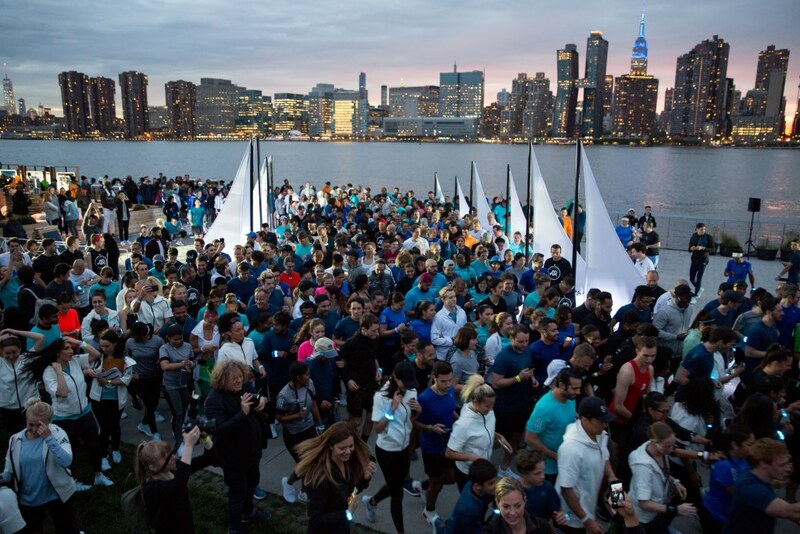 adidas and Parley for the Oceans invited their communities of runners, athletes, ocean ambassadors, environmentalists, artists, influencers and media to unite during their first ever Run For The Oceans as they turned New York City blue to spread awareness for ocean conservation. 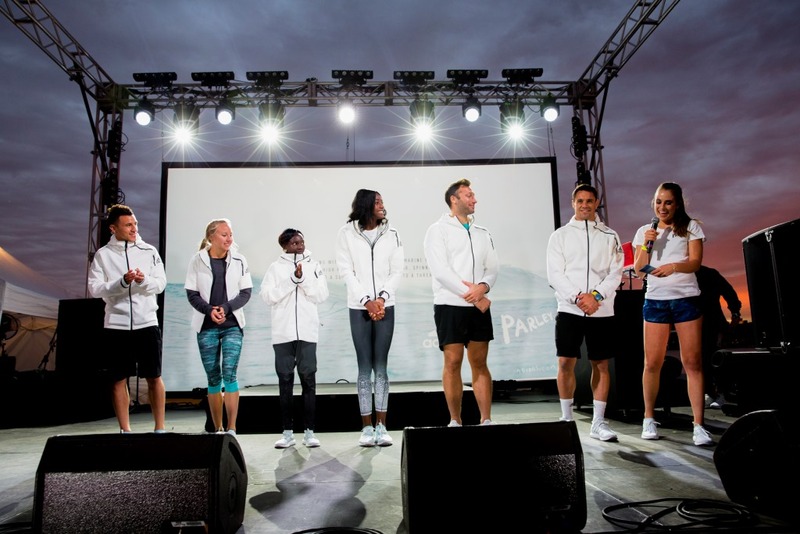 The initiative between adidas, Parley and Runtastic and the 550-strong collective of ocean advocates including rugby player Dan Carter, marathon record holder Mary Keitany, sprinter Shaunae Miller, swimmer Ian Thorpe and marathon runner Neely Spence Gracey, demonstrates the power that sport has in mobilizing communities and inspiring positive change, and will motivate runners everywhere to commit to the oceans. The experience started at an interactive, immersive festival area at Long Island City Landing where guests learned from Parley spokespeople about the Parley A.I.R. strategy – an approach which stands for ‘Avoiding’, ‘Intercepting’ and ‘Redesigning’ plastic. 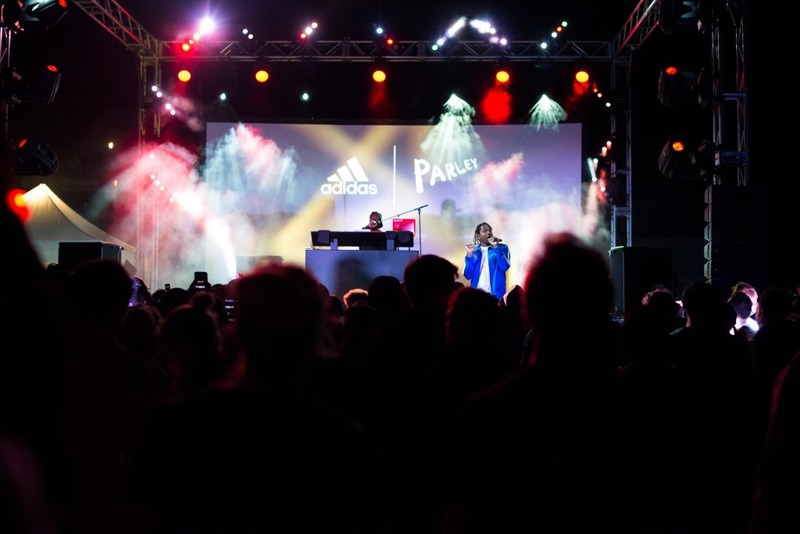 Then, as day turned to night, Cyrill Gutsch, Parley founder, André Maestrini, Global General Manager, adidas Running, rapper Pusha T and event host Rachel Demita, who came straight from hosting the NBA finals to be at the event, ignited the passion of the runners with motivational speeches to inspire action. 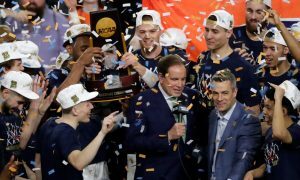 Collectively they kicked the run off before the 550-strong procession turned streets, iconic city landmarks, trees and buildings blue along the 5k route, a tribute to the oceans. After the run, guests were encouraged to discover the full ocean celebration including sustainable PangeaSeed art murals depicting the beauty and fragility of the ocean’s ecosystem, an interactive pledge wall inspiring the runners to commit to the oceans, multiple immersive education pieces and the event finale – a performance by world-renowned rapper Pusha T.
adidas x Parley have made the movement accessible for all by creating a Digital and Story Run. The former educates and motivates runners all over the world to commit to ocean health by contributing their mileage to the cause. The latter is a Runtastic Cardio App based on unconscious interval training and seeks to provide ongoing education on ocean conservation. 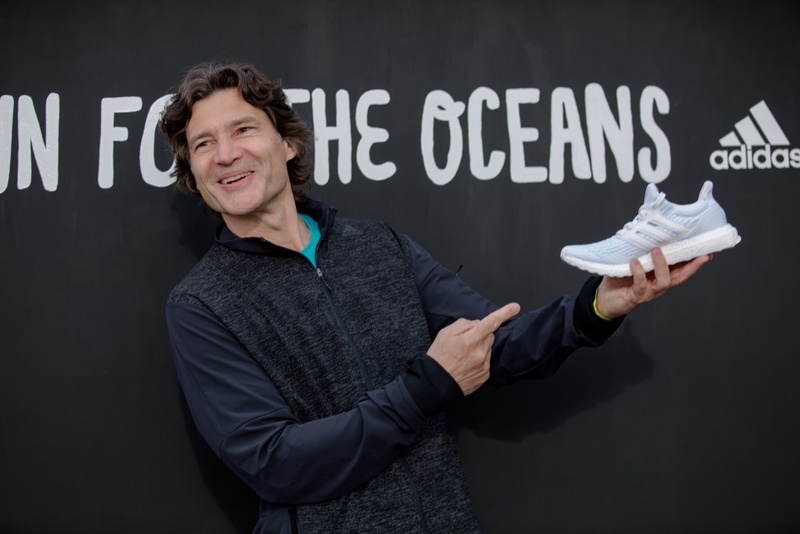 To find out more about how to get involved visit and sign up at adidas.com/runfortheoceans. 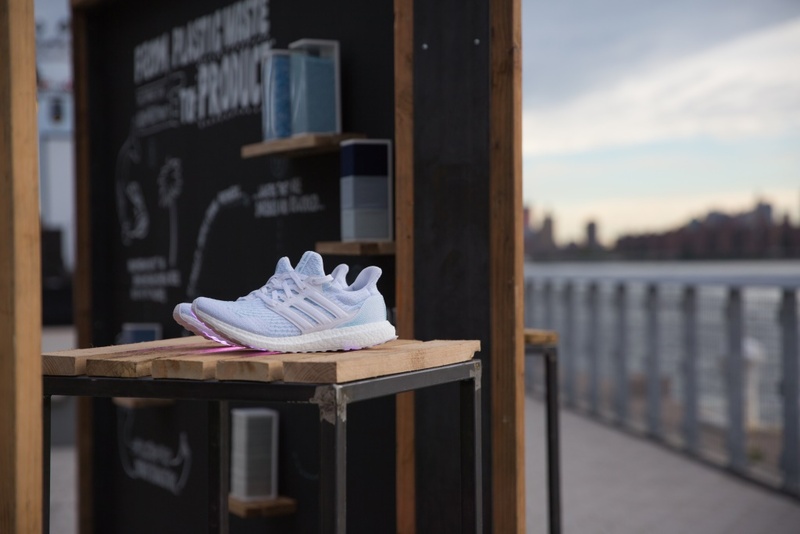 Follow the conversation at @adidasrunning on Instagram, Twitter and Facebook using #adidasParley and #RunForTheOceans.